Why Do We Celebrate April Fool's Day on April 1? Why Do We Celebrate April Fool’s Day on April 1? The fourth month of the year (but not always,) has played out since the Middle Ages (or earlier) and has been called All Fool’s Morn among other names, such as Gowkie Day, April Noddy and Huntigowk Day. What is the real story about this day on which we play jokes, engage in giddy activities and reckon with the fickle weather? Even the answers are sort of a joke. April 1 may not have always been the actual date. The origins of this holiday are relatively unknown and even the connections to the theories are specious. So what do we know? The name April stems from the Latin word, Aprilis, which is derived from the verb Aperire meaning “to open” because it is a month when flowers open and grow. In addition, the ancient Romans revered their gods and Venus, the Roman goddess of love, was devoted to Aprilis. Her festival—not April Fool’s Day but the Veneralia—was celebrated on the first of April. Back then, however, April was the second month in the ancient Roman year when March began their calendar. We also know that the vernal equinox takes place around April. This playful season causes many a person to have spring in their step. April Fool’s Day is unaffected by Easter and may have something to do with ancient non-Christian religious celebrations, such as Hiliaria of ancient Rome or the Holi festival of India. Both are spring festivals during which participants ignore rules and generally act a little crazy (at Holi they throw dried paint colors at each other’s faces!). It is not however, the same as the “Feast of Fools”, a parody of the church or the mocking of authorities as in role reversals. The other suggests a time when Jesus was sent from Pontius Pilate to King Herod for judgment and mockery and then back again. A phrase that came about called “Sending a man from Pilate to Herod” was supposed to be related to sending someone on a fool’s errand. The other more feasible explanation has to do with the change from the Julian calendar to the Gregorian calendar. Of course, calendars are required to keep time according to the seasons and to commemorate special events, such as holidays and festivals in a consistent manner, and not changing from year to year. The Julian calendar, named for Julius Caesar, was fairly accurate and was adopted as time immutable for centuries. Unfortunately, it diverged from the real solar calendar by a mere 11-and-one-half minutes a year. That adds up. By the 16th century, the calendar was off by 10 days. In 1582, Pope Gregory XIII instituted a reformed calendar called the Gregorian. This calendar is still in place today as the Western or Christian Calendar and only differs from the sun’s calculations by mere seconds—making it last 3,336 days with a difference of only one day. France, England and some other countries didn’t like being told they needed this new calendar and ignored the option. A longstanding story is that many people refused to accept January 1 as the date of the New Year or others hadn’t heard about the change because communication was slow. These people were labeled “fools” and became the subject of pranks, such as being invited to nonexistent parties or sent on “fool’s errands.” The French coined the phrase poisson d’avril meaning April fish because an innocent fish is easy to catch. A common practice was to secretly attach a paper fish on the back of someone as a joke. 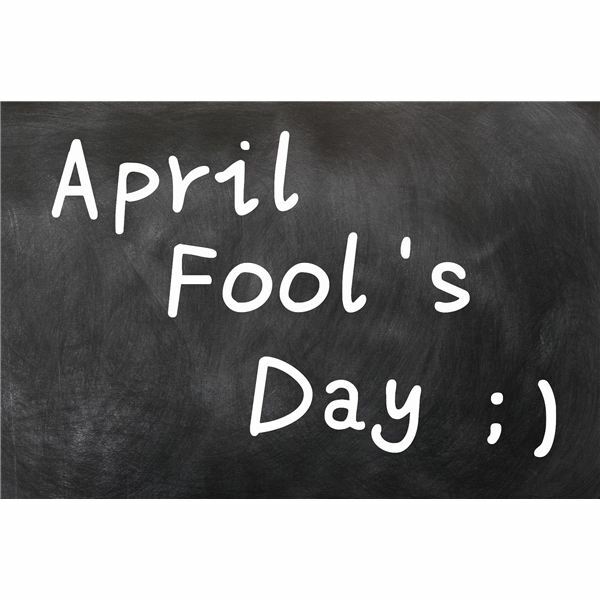 No matter the origin, April Fool’s Day comes every April 1, so you might as well have fun with it. 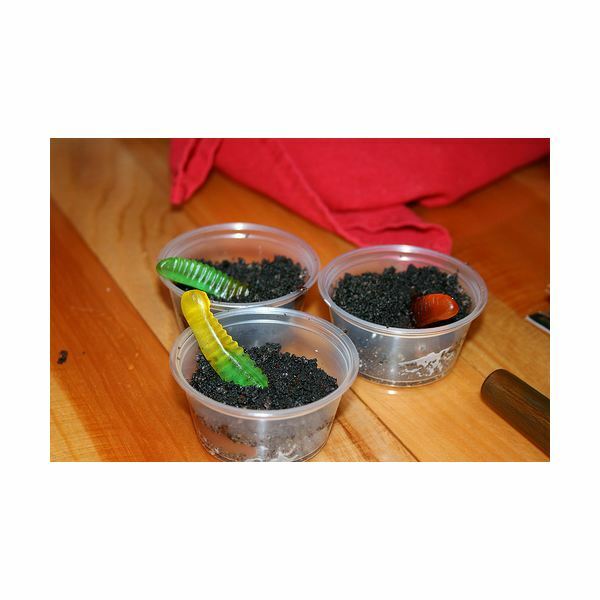 One idea is to make a fun treat, such as Cup of Worms, sometimes called Worms and Dirt. Fill cups of chocolate pudding with gummy worms and top with chocolate sprinkles or cookie crumbs. Dig in! Festivals and Holidays, et al. New York: Macmillan Library Reference, 1999. Book.